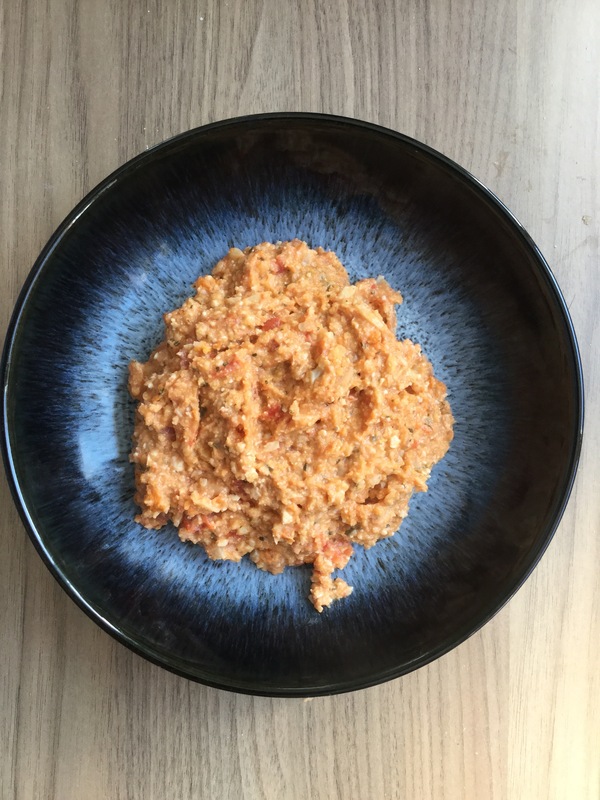 I’d been thinking about using cauliflower rice (blitzed up fresh cauliflower) as a basis for an oven risotto style of dish, this recipe uses coconut milk, tomato, peanut butter and ginger to give such a satisfying and comforting flavour. 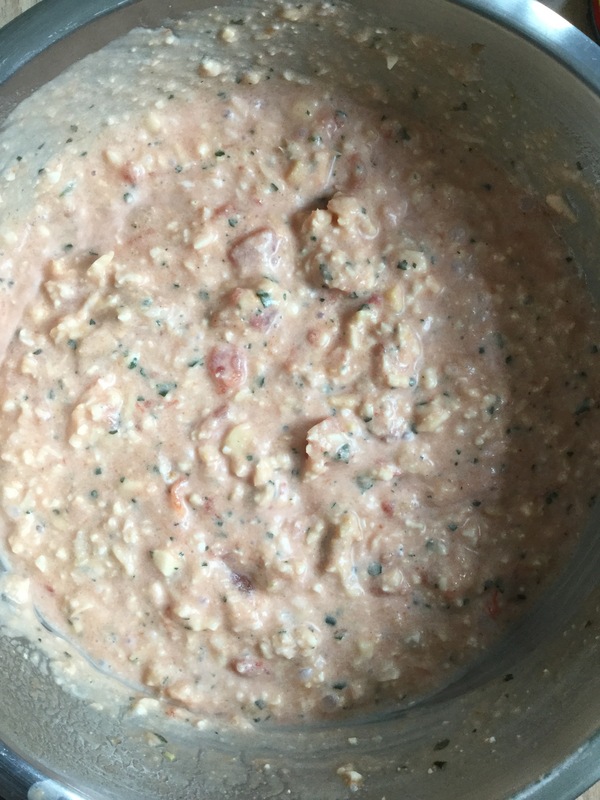 Even with a long cooking time the cauliflower retains some bite, the crunch from the peanut butter backs it up which goes so well with the rich creamy sauce. The polenta was really only added to thicken the mixture to being closer to a risotto, but really makes the dish so much better! 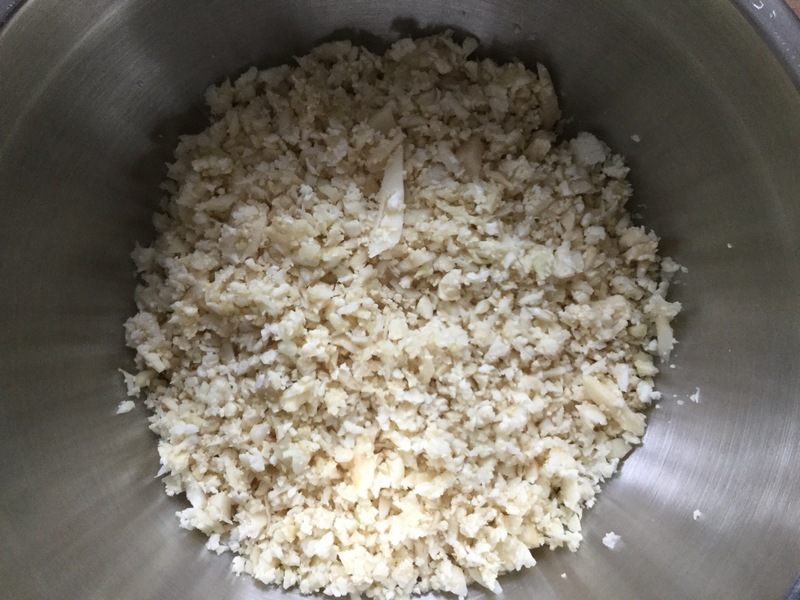 Roughly chop the cauliflower florets and place in a food processor, blitz until the pieces are mainly the size of rice grains. Mix together all the ingredients with the cauliflower except the polenta, pop in an oven proof dish and place in the oven. Cook for about 40 minutes, stirring occasionally, then take out stir in the quick cook polenta and return to the oven for 15 minutes. Let it cool slightly before serving, it really retains heat!